Welcome to Reflects Light, a Division of Reflective Inc. In business for 22 years. Experts in reflective safety tapes and products. You can contact us at steve@reflectivestore.com or by phone at (850) 934-3157. This site is maintained and written by Steven Cole – owner of Reflective Inc.
On this site we feature our Oralite (formerly Reflexite) line of Retro-reflective products. Reflexite invented prismatic reflective sheeting in the 1960’s. Their reflective films are made as a single layer meaning they will not delaminate like other brands. 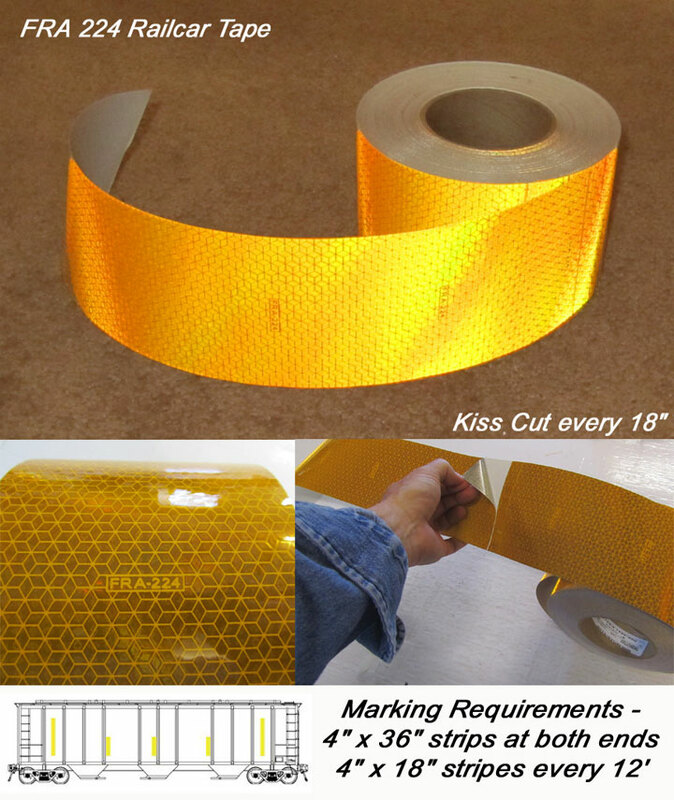 This is especially important for dynamic applications such as chevron striping for emergency vehicles or conspicuity tape for trucks where the tape may be subjected to adverse or harsh conditions. Our Oralite Product Lines are pictured and outlined below. You can “click” the pictures below for more information. 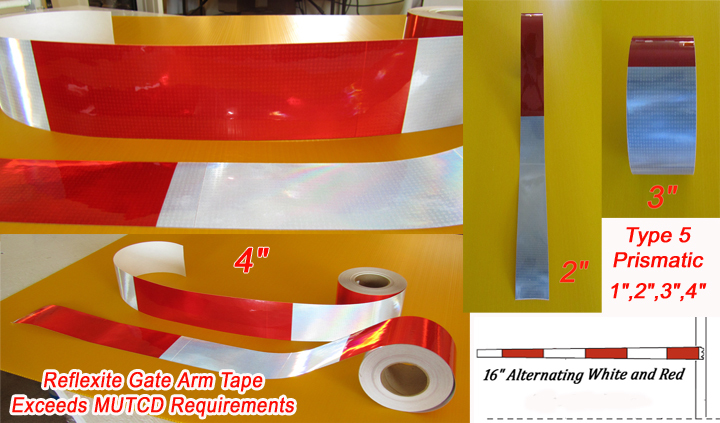 We offer retail reflective tape and wholesale reflective tape pricing on these products. V92 DAYBRIGHT ROLLS : 1″ – 24″ rolls in our retail online stores. Up to 30″ wide on a wholesale basis. Available in Red, School Bus Yellow, Green, Blue, Fluorescent Lime, White & Orange – “Click Here” for Information on Ordering. 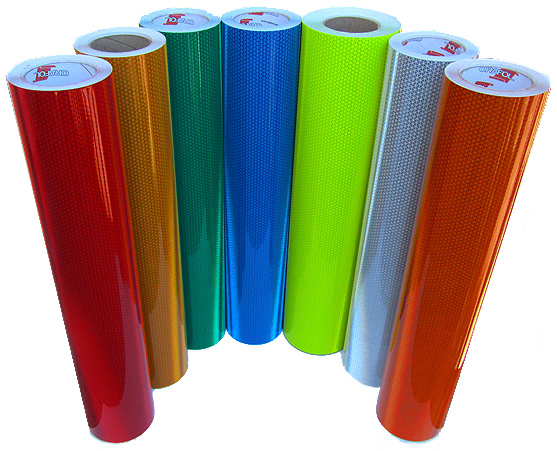 V98 CONFORMABLE PRISMATIC GRAPHICS FILM : 1″ – 24″ rolls in our retail online stores. Up to 30″ wide on a wholesale basis. 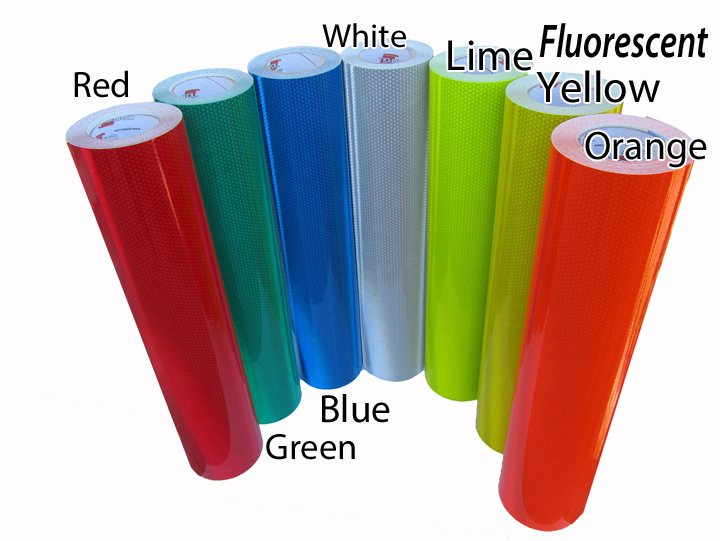 Available in Red, Green, Blue, White, Fluorescent Lime, Fluorescent Yellow and Fluorescent Orange. 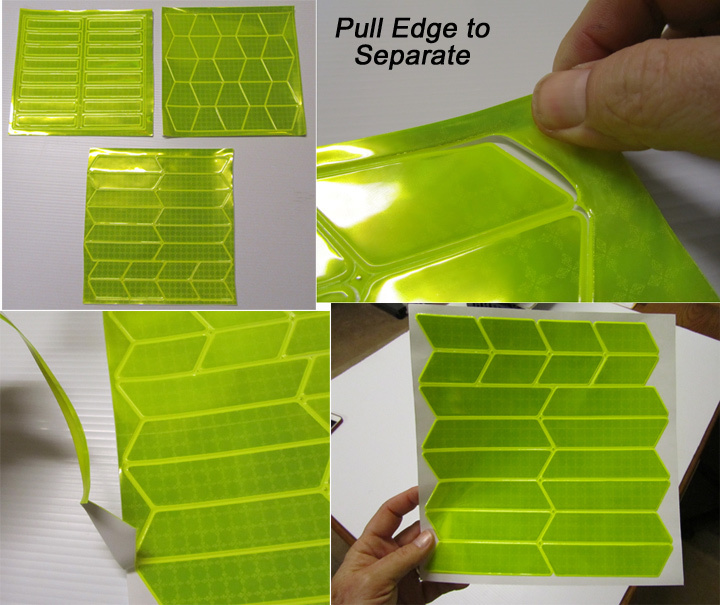 -Designed for Vehicle Graphics applications but can be used in many other applications as well. “Click Here” for Information on Ordering. V82 PRISMATIC REFLECTIVE FILM : 1″ – 24″ rolls in our retail online stores. Up to 30″ wide on a wholesale basis. Oralite’s brightest line of retro-reflective films. Rated as an ASTM D4956 “Type 5” film. Available in Red, School Bus Yellow, Orange, Blue, White, Standard Yellow and Green. 10 year tape. “Click Here” for Information on Ordering. Oralite V52, V92 and V82 Reflective DOT Approved Conspicuity Tapes : 1″ – 4″ Rolls available in our retail online stores. Also available in larger sizes and quantities on a wholesale basis. Red and white alternating colors. Available in 6″ white/6″ red or 7″ white/11″ red configurations. “Click Here” for Information on Ordering. 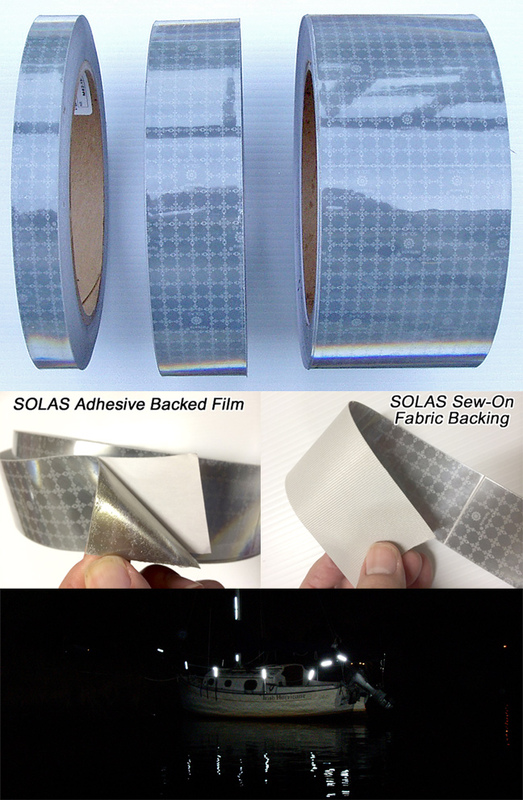 Oralite M82 Adhesive and Sew On SOLAS Coast Guard Approved Tape. Comes in 1″, 2″ and 4″ rolls in our retail online stores. Available up to 30″ on a wholesale basis. “Click Here” for Information on Ordering. 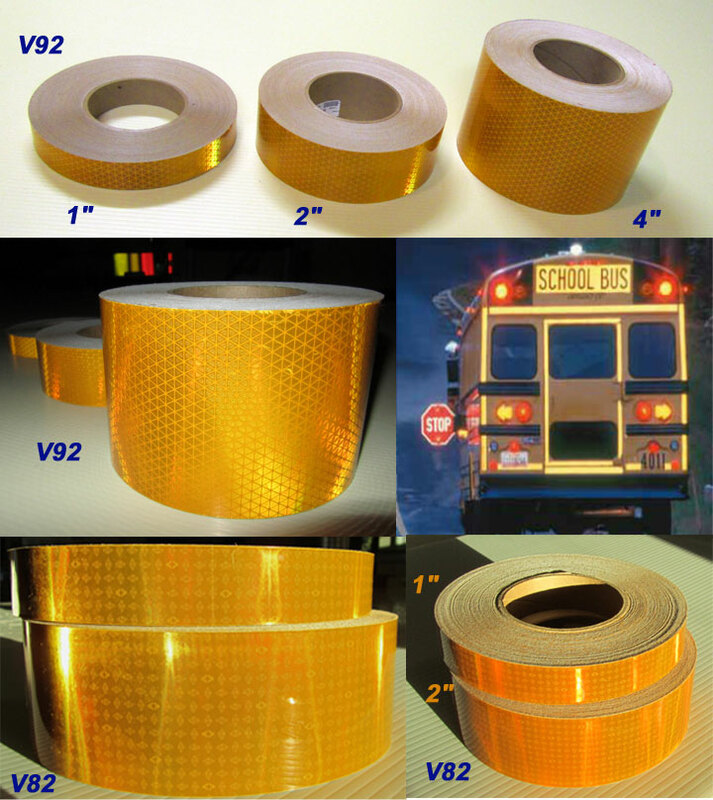 Oralite V82 (10 year) and V92 (5 year) prismatic reflective yellow tape for school bus applications. We carry 1″ – 24″ rolls in our retail online stores and 1″ – 30″ rolls on a wholesale basis. “Click Here” for information on ordering. Oralite D82 Gate Arm Tape (RGA) – 10 year outdoor rated. Red and White alternating 16″ sections. Exceeds MUTCD requirements for gates and gate arms. Available in 1″ – 4″ in our retail online stores. Up to 30″ on a wholesale basis. “Click Here” for information on ordering. We carry Oralite FRA approved rail car tape in a school bus yellow in our online retail stores. We have 4″ kiss cut rolls. White is also available on a special order basis. Just give us a call at 850-934-3157. “Click Here” for ordering information. We carry Oralite P82 Photo-Electric Tape. Specially made for photo sensor applications. Available in 2″ x 10 foot and 2″ x 50 foot rolls Just give us a call at 850-934-3157. “Click Here” for ordering information. Our fire helmet reflective safety shapes are NFPA compliant. This means they are the proper color (fluorescent lime) and that they will stay on the helmet in high temperatures. We offer three types of shapes. Trapezoids (Tetrahedrons), Tetra-Bars, and 1″ x 4″ Rectangles. Our fire helmet shapes are sold by the sheet. “Click Here” for information on ordering.